If you’re looking for things to see and do in Sydney, you’ll be spoilt for choice! The capital of New South Wales has loads going on and never disappoints – it’s one of the globe’s most beautiful and iconic cities, and is sure to have something for everyone to enjoy. Here we’ve listed some of our favourite and most popular attractions that Sydney has to offer in 2019. 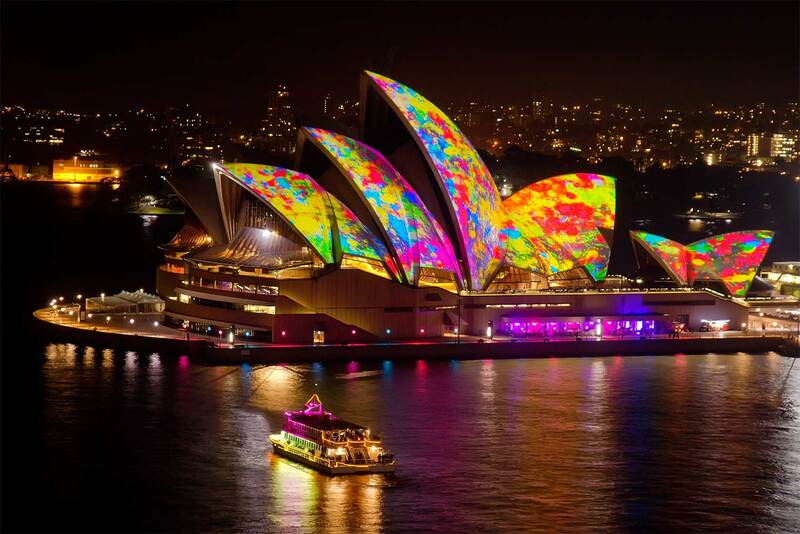 If you’re visiting Sydney, then visiting the Sydney Opera House is a must! Perched on the waterfront at the very end of Bennelong Point, this unique piece of architecture is Australia’s most recognisable building and is certainly the star attraction of the glittering harbour. The famous landmark was designed in 1953 by Jorn Utzon, a Danish architect, and was finally completed in 1973 after 16 years of construction, costing over $100 million. The curved sales comprise of over 1 million white tiles and make for a breath-taking photograph when aligned with the as-impressive Harbour Bridge. Whether you want to relax in one of the many bars and restaurants, take an organised tour, attend one of its extravagant shows or just enjoy a gentle stroll around its exterior, there’s plenty to do for people of all ages whilst at the Opera House. The astounding Harbour Bridge built in 1932 to connect the north and south shore is another must-see for any tourist spending time in and around Sydney. Known as the ‘Coathanger’ by locals, the bridge is the world’s widest long-span bridge at 48.8m and its arch towers 134 metres above sea level. If you’re feeling brave, then the Bridge Climb allows for you to ascend to the very top of the iconic arch. Climbs take part all day from dawn until night, providing an opportunity to experience spectacular views of Australia’s most vibrant city. What was originally home to Sydney’s industrial docks and wharves, Darling Harbour was redeveloped during the 1980’s and is now one of Sydney’s main hubs for locals and tourists alike. The waterfront precinct is packed with restaurants, bars, shops, museums, exhibitions and entertainment venues, including SEA LIFE Sydney Aquarium and Madame Tussauds to name just two examples. Sydney is famous for its fabulous golden beaches, and one of our favourites is the beautiful Bondi Beach. Situated just a short drive from the city, it’s mile-long stretch of sugary sand attracts both keen surfers and relaxing sunbathers, and is simply a place you must visit. Sunbathers, swimmers and others looking to chill out tend to favour the north end of the beach, whereas surfers usually gravitate towards the south end where the roughest waves and strongest rip tides are. 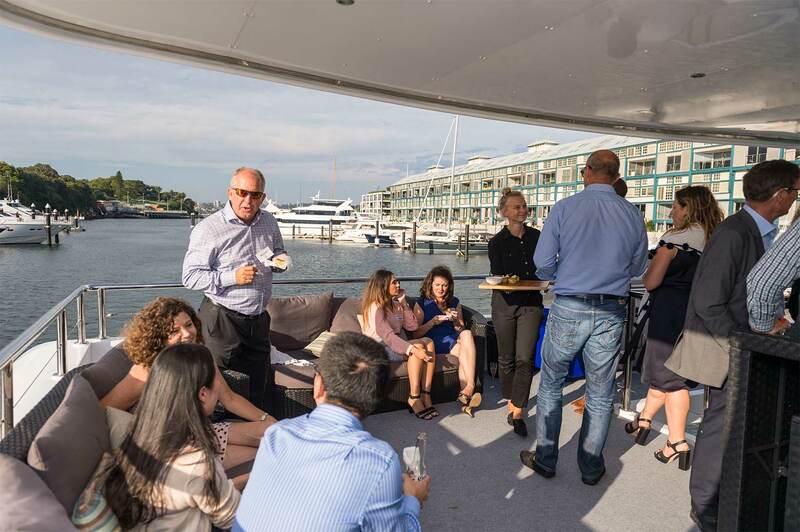 We might be slightly biased, but one of the most popular things to do while in Sydney is to hop aboard a luxury harbour cruise and appreciate the sparkling waterfront setting. The city is well-known for having one of the (if not the) most beautiful harbours in the world, and there’s no better way of catching a glimpse of the sights than to get out on to the clear waters. 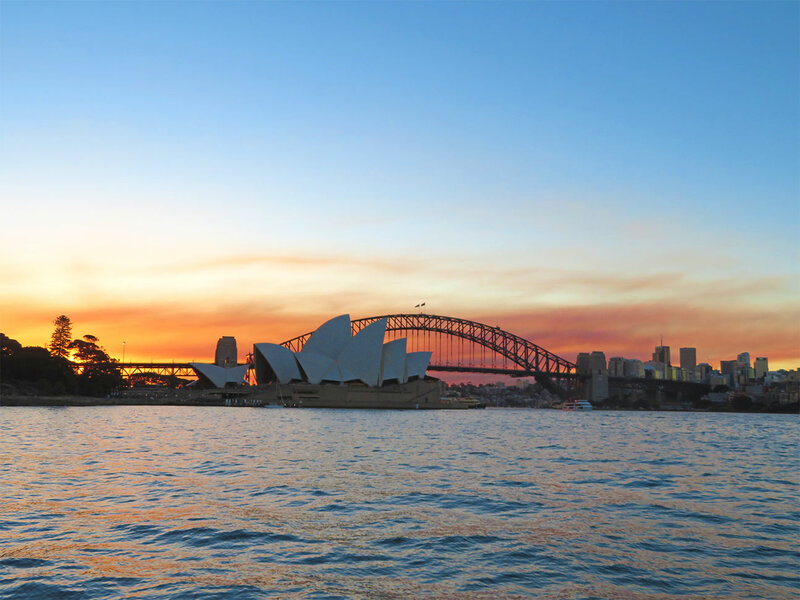 The cruises provide unprecedented views and are perfect if you’re looking to see the famous Opera House, Harbour Bridge and other famous landmarks but want to avoid the busy and hectic streets! Relaxing on one of these modern boats is also by far the best way of soaking up some sun in one of the world’s most awe-inspiring settings. Towering above the city’s already impressive skyline, the Sydney Tower Eye is New South Wales’ tallest building at an astounding 309-metres. 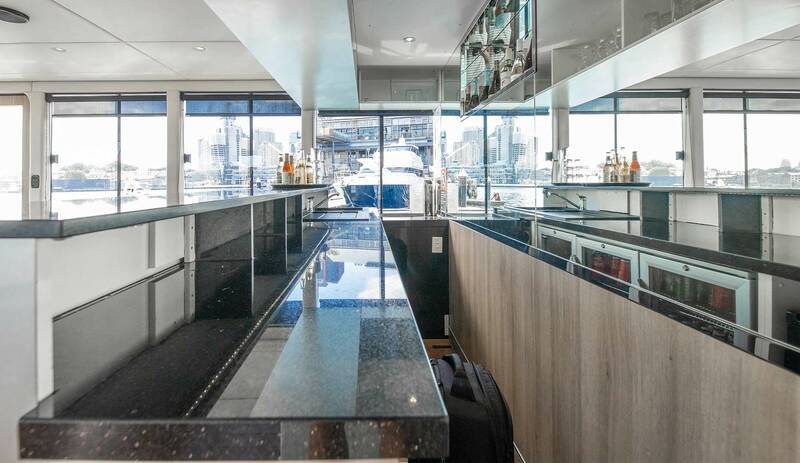 With the observation deck providing 360-degree views, not only will you be able to see the glistening harbour, but also The Blue Mountains and the shores of Botany Bay; you’re guaranteed to be awestruck by the view from the highest point in the city. Those daring souls wanting to go one step further than the observation deck and experience the golden spire-topped turret’s crazy heights have the opportunity to take on SKYWALK, a 45-minute guided tour along the outside of the tower, which includes a glass floor viewing platform! Founded in 1816 and located in the heart of New South Wales, the Royal Botanic Garden is a peaceful oasis hidden among the hustle and bustle of the day-to-day city life. The serene 30-hectare park is the home to over 7,500 species of plants and is one of Sydney’s most visited attractions. If you’re after a leisurely stroll, then this is the perfect place. The gardens are open every day of the year and entry is free (with a few exceptions for special events where tickets are required). If hiring a premium, exclusive boat sounds like your idea of fun, then please don’t hesitate to get in touch with us here at Karisma Cruises. We offer a personalised service and are sure to provide you with an unforgettable experience.